After sitting vacant and forgotten for many years, the Concord Theatre is set for a monumental comeback, which around these parts we’re getting quite used to – at least when it comes to the hometown football team. Last year, it was announced that the Capitol Center for the Arts was planning to renovate the longtime downtown movie house into a multi-purpose entertainment venue. A story in Monday’s Monitor detailed the purchase of the building by local developing legend Steve Duprey, who will eventually sell it to the Capitol Center, so the project is in the works. So it then makes this bit of news more timely: Paul Brogan will be giving a talk about the history of the Concord Theatre at GoodLife Programs & Activities on Feb. 7. We know the talk, which is free and open to anyone, is about two weeks away, but the folks at GoodLife would like you to sign up ahead of time. Actually, you must register in advance, so we figured we’d give you plenty of time to clear your schedule and make the appropriate contacts. Brogan, who has given these kinds of talks before, spent 27 years at the Concord Theatre, working closely with owner Theresa Cantin until it closed in 1994. “I knew I was part of something remarkable, so I absorbed the whole experience,” Brogan said. Brogan began working there in high school and got to eat all the free popcorn he could handle. And if you’re wondering what kind of stories he’s got from his two-plus decades at the theater, well, here’s a golden opportunity to find out. And since it was open from 1933 to the early ’90s, we’re guessing it played a big role in the entertainment scene. “For a lot of people, this is a chance to get some answers,” Brogan said. The talk will be held Feb. 7 from 12:30 to 2:30 p.m. at GoodLife, 254 N. State St.
As of last week, the plan is for Joe Gleason, assistant executive director at the Capitol Center, to be on hand for the final half hour to talk about the upcoming project. There will also be a question-and-answer portion of the talk. 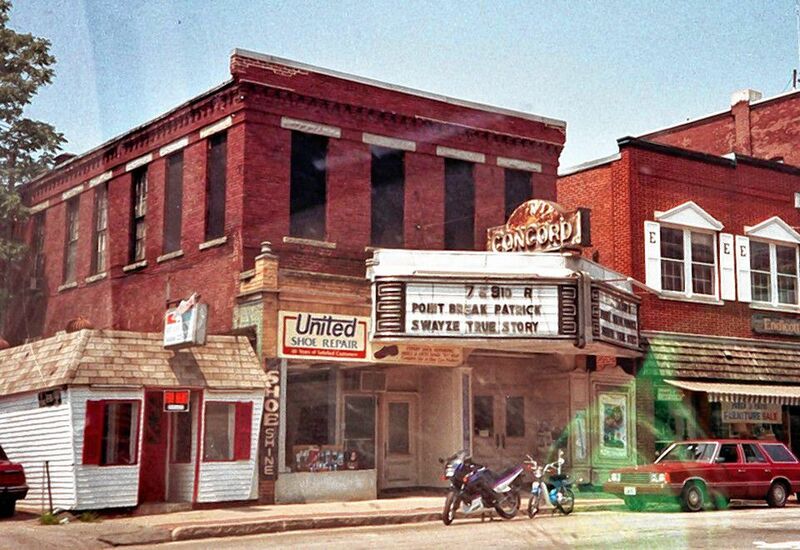 Brogan is also writing a book about the history of the Concord Theatre. For more and to register, visit goodlifenh.org/activity/concord-theatre-concords-hidden-treasure.